The Radiology Department at Logan County Health Services offers state of the art imaging services to meet our patients’ diagnostic needs. Our experienced staff is comprised of licensed technologists available for your routine and emergency needs. The team stays up to date on the newest technology and techniques in the radiology field through equipment training and frequent continuing education classes. Exams requiring general radiology (i.e. chest or abdomen x-rays) are available without an appointment between the hours of 7:30 a.m. to 5 p.m., Monday through Friday. A doctor’s order is required and the patient will need to register at the front office before coming to the x-ray department. General radiology is also available after normal business hours for patients admitted to the hospital or seen in the Emergency Department. In October 2015, our facility purchased a new Siemans Somatom Scope 16 slice CT scanner. This scanner is designed for routine and emergency exams, as well as oncological exams and vascular imaging. It provides faster scans with excellent image quality and reduced radiation dose. We have the capability to perform studies using IV and/or oral contrast when indicated. Non-emergent CT scans can be scheduled through the radiology department with a doctor’s order provided. Emergency services are available 24 hours a day, 7 days a week. Beginning in April, 2014, the Radiology Department began providing on-site bone mineral density testing (DEXA scans). Results of these scans may help diagnose osteoporosis, monitor patients’ response to treatment for bone density loss and identify if the patient is at increased risk for fractures. A DEXA scan uses minimal radiation exposure and takes a short amount of time to complete. A doctor’s order and insurance approval is necessary before we are able to schedule the DEXA scan. In addition, we are able to use this equipment to calculate Total Body Composition. This is a non-invasive scan using low doses of radiation to measure the amount of lean muscle tissue in the body compared to fat tissue. This testing is also beneficial in tracking changes in weight and muscle or fat composition over a period of time. The Total Body Composition Scan does not require a doctor’s order and cannot be submitted to insurance. The cost of the scan is $40 and patients are eligible for one scan per year. The following imaging services are provided by mobile units that perform exams at our facility. The majority of studies are read by the same radiologists we use for all of our imaging reports and all records are stored at Logan County Hospital for your convenience when receiving continued care. Each Friday, Shared Medical Services provides state-of-the-art mobile MRI technology, including the latest software and accessory packages for advanced imaging capabilities. MRI is very valuable for the diagnosis of a broad range of pathological conditions in all parts of the body including cancer, stroke, and joint and musculoskeletal disorders. A doctor’s order is required for an MRI to be completed. Because this technology uses a strong magnetic field to obtain images, patients with certain types of metal in their bodies are unable to have these scans done. This includes pacemakers, defibrillators and shrapnel or metal from gunshot or welding injuries. Joint replacements and implants from back surgeries or dental work are not a risk for the study. In addition, if you are concerned about claustrophobia or anxiety, please visit with your provider ahead of time so additional arrangements can be made if necessary. The Radiology Department will contact you on the Friday of your exam to arrange the time for your study to be completed. The service may be available at different times each week, but we will do our best to find a time convenient for you. 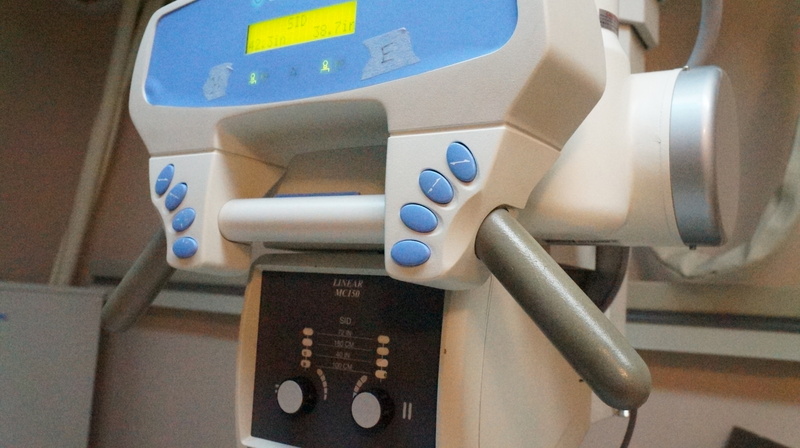 HaysMed provides ultrasound services in our facility on Mondays and Wednesdays each week. These ultrasound technologists are extremely proficient and experienced, providing high quality imaging. A wide variety of studies are available including vascular, obstetric, abdominal, and echocardiograms. These exams do require a doctor’s order before they can be scheduled. Some studies require patients to follow preparation instructions before your appointment. This will be discussed when scheduling your exam. On-site screening mammography is provided every three weeks by HaysMed Mobile Mammography. Services are offered on Thursday of that week and exams are scheduled by the Radiology Department. A doctor’s order is not required, but we are unable to provide diagnostic services (new changes, follow-up from a screening mammogram, etc.). Reports will be sent to the provider of your choice. Please do not hesitate to contact the Radiology Department with any questions. Logan County Health Services offers Nuclear Medicine services on the first and third Thursday of each month. These services are provided by Front Range Nuclear Services. Nuclear medicine imaging provides unique diagnostic opportunities for our patients. These studies involve imaging structures and functions of the body not well seen with other types of exams. Thyroid scans, cardiac stress testing, gallbladder function and bone scans (often for monitoring cancer metastasis) are just a few of the exams available through this service.